The Nashville Technology Council (NTC) recognized Hytch, LLC, as the “Emerging Company of the Year 2018” at the 9th Annual NTC Awards Ceremony on Thursday, January 25th.  Nashville-based technology company Hytch, LLC, presents a groundbreaking free iOS and Android application, called Hytch Rewards, engineered to incentivize positive transit behavior, reduce fuel emissions and alleviate traffic through sponsored cash rewards. Shared rides are tracked, verified and rewarded through first-of-its-kind synchronized GPS tracking technology. 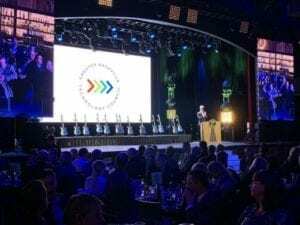 The NTC Awards are dedicated to connecting, uniting, developing and promoting Middle Tennessee’s rich community of developers and technology entrepreneurs, enthusiasts and institutions. This year brought in over 300 nominations in 14 categories. “We are honored to receive this award and play our part in recognizing technology as a solution to Nashville’s traffic congestion,” says Mark Cleveland, co-founder and CEO of Hytch, LLC. “With the touch of a smartphone, commuters can now be a part of the traffic solution. We are only at the beginning of creating new ways to utilize technology for faster and safer commutes." Hytch Rewards is funded in part by a grant through the State of Tennessee and reward partners, including Nissan, Sprint, H.G. Hill Realty Company, and Franklin Synergy Bank, who have layered their geo-defined cash rewards to further incentivize ridesharing in high congestion regions. Hytch Rewards is available in Apple and Google Play app stores. Nashville Technology Council began in 1999 when a group of business leaders and legal minds came together to address the need in Nashville for better paying jobs and improved capital investment in technology startups. From its inception, the vision for the NTC was to be a catalyst for growth and influence in Middle Tennessee's tech industry. Today, the NTC has 400 company members with a vision of establishing Nashville as the nation’s Creative Tech Destination. The NTC Award planning committee is comprised of members of the Nashville Technology Council community that generously volunteer their time. A member of the NTC Awards planning committee oversees the nominee selection process, coordinating over 70 judges from across Middle TN, thereby keeping the NTC staff out of the process. To learn more, visit TechnologyCouncil.com.